Currently seeking assistance in copyrighting content for our new website. Experience in financial services highly sought after. We are an asset management, wealth advisory and SMSF consulting business located in Australia. Target market is high net worth clients. Some content has already been created, but due to time constraints, this needs to be outsourced. Happy for this content to be used, tweaked, changed. Please let me know what further information you require as I’d be interested in obtaining further details and a quote. I have a Teaching (English major. Therefore, many, many hours of proofreading and editing experience) and a Customer Service (Financial Services - Superannuation) background. With my highly skilled experience, I am sure we can effectively work together to create a purposeful and accessible website for your clients. Please contact me for further details. I have over 14 years experience as a legal secretary and running my own business doing data entry, copy typing and transcription, speed and accuracy are paramount! I have experience proofing briefs of evidence, tender documents, marketing material, manuals, etc. I also do some work with medical documentation where again, accuracy is paramount. I would love the opportunity to help you with this project. Hi Sara, I am a Library Technician working for a K-year 12 school. I have developed content for our school website and administer the school Facebook page, developing engaging posts for our school community. I have also edited a photography website and Businees Enterprise website. I have excellent research, grammar and vocabulary skills so am sure I can write to your targeted audience. Required hours to fulfil this brief depends on the amount of work involved. Would love it if you considered my application. Sarah, I would love to speak to you regarding your project, as I believe I am very well placed to provide high quality, timely content that meets your specific business needs. I am an ex-financial journalist now working as a brand strategist, content/copy writer and social media consultant. I have more than 10 years experience working in marketing for large financial institutions and wealth managers. I am very familiar with the regulations that apply to this market, in particular those that relate to the provision of general vs personal advice. I regularly write content for a number of financial advice businesses, so I am confident in my ability to craft communication aimed at high net-worth clients as well as the advisers who work with them. I have provided my hourly rate, but I would prefer to wait until I have seen the scope of work required so I can offer you a more accurate estimate as to the length of time needed to complete the work. I am a freelance copywriter and content creator from the UK but now based in Australia. I have over 8 years’ experience in marketing, which includes creating articles, blogs and web content with 100% accuracy. I am also experienced in optimising articles for SEO, so the content I produce for you will help drive traffic to your website. I have included a thorough portfolio on my profile to demonstrate the quality of my writing. 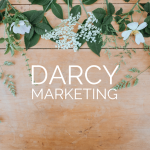 Please also feel free to browse my website - www.darcymarketing.com.au/blog - or my social media channels - FB @darcymarketing; IG @darcy.marketing. I am Reza Alavi and live in australia. (MSc Mechanical Engineering). I know WordPress cms completely, and I have already taught in this field. I'm currently a webmaster working on WordPress template and plugin sales. (With 11 years of work experience) I know the SEO perfectly and have 8 years of experience in that field. So far, I've done several projects on WordPress that have been successful. I am very pleased to be able to work with you on this. Tell me if you need more explanation about my resume. Specialising in content strategy, website content and writing online articles, my experience includes two years of SEO online copywriting and 30 years of administration. I worked for an established accounting firm for five years before this and am well versed in accounting procedures, Self Managed Super Funds, financial planning, BAS, ASIC matters, business registrations, company registrations, ABN and GST registrations, trust accounts, and more. I have written website copy for a variety of industries including accounting, law, auto repair, fashion, retail, wholesale, cleaning, cake decorating and more! I have excellent research skills and can write for a variety of niches. My writing converts, is interesting, and is easy to read and follow. English is my first language, and I have amazing spelling and grammar. Samples of my online articles are attached, and are also published on the medium website at https://medium.com/@melindajseo and at https://webcontentcube.com. Much of my work has been ghost written. Please do not hesitate to contact me if you have any queries at all. My price is negotiable. I'd love to do this for you! I'm a professional freelance copywriter and editor with years of experience and have written content for many clients, including some in the finance industry. My work is polished and professional and I always build strong relationships with my clients. I'm estimating an amount for the overall project, but that's negotiable, depending on the actual amount of work involved. That said, I work fast and always deliver on time. Feel free to give me a call to discuss your work. I'm available for most of the weekend and any time through the week. New Tricks Hi Sara, I have worked with Australia's largest bancassurer for the past eight years, writing content for its many brands. I have significant experience in financial services. I was previously writer-based creative director in a number of multi-national advertising agencies and dealt with a number of financial categories. Now based in Orange NSW, I have the time and energy to devote exclusively to this task. I have over 20 years experience with corporate content writing including financial, and award winning annual reports. I am Sydney based and currently working in a Group Communications Manager role. I am available to assist with your project, with a quick turnaround. Let’s chat so you can give me the brief to allow me to provide quote and time. I have provided hourly rate and average time, but pending our discussion and your budget this will change. Lisa, I am a retired financial adviser and published author and wordsmith. Are you prepared to share in absolute confidence what you have done and an outline of what you want? Very interested. How frequently will you post to your website/blog? What is your optimum article size; eg, 1,000 words, more, less? Will you advise the focus or title of each article, or will that be left to me? How much lead time would I get to prepare an article? Do you have an article publication schedule for a few months in advance? Do I get the right to be the accredited published author (in newspaper-speak, the right to a byline)? Do you have broad timing standards for the research and write-up of articles for publication; eg, four hours for an article of 1,000 words? In order to make an accurate bid can you please confirm some more details about what you are after so that I have a full understanding of the scope of the work? Is this copywriting for the website itself or are you also after blogs/articles to be featured on the website? Can you give an indication of the number of pages you are wanting written up, or are you asking for input on this as well? 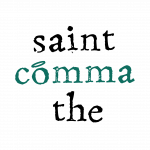 I am a skilled freelance writer providing copywriting for both websites and blogs, however I am also a Chartered Accountant with over 20 years experience in business services. I have worked with Australia's largest bancassurer for the past eight years, writing content for its many brands. I was previous a writer based creative director in multi-national advertising agencies. Can you please indicate the volume of content and editing required for this assignment? I will then provide a competitive quote for you.